LEAGUE: Northern Districts Rugby League chairman Neil Redfern says the outlook is good for next year. But he's not getting carried away, just yet. Redfern was voted in for another year as chairman at the annual general meeting for the competition on Sunday. He stays on board with Kym McIntosh staying as secretary. "It was a pretty good turnout,” he said. Redfern, importantly, said four of the five clubs affiliated for next season. "They've fulfilled most requirements and even paid the fee,” he said. Redfern also revealed the club's audit hasn't been completed but it is expected to be done any day now. He said the hard work now begins for those five clubs. Redfern confirmed three out of the five clubs had locked in coaches with two still in the interviewing process to get that sorted. 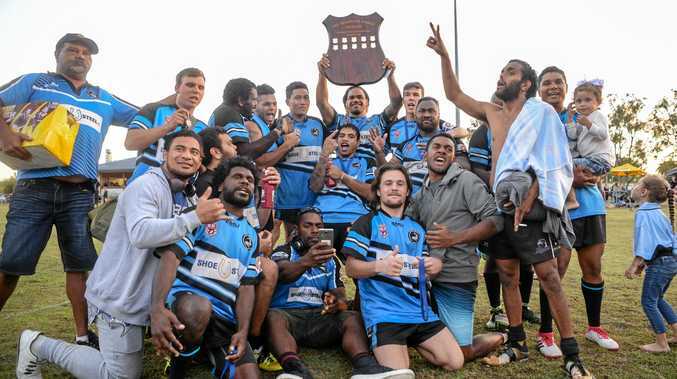 The NewsMail can reveal the three clubs are South Kolan, Avondale and Miriam Vale with Agnes Water and Gin Gin the two not done yet. "We now need the numbers and players over the next few weeks,” he said. Redfern said if five teams play the competition would likely be played over 15 rounds next season. There will be more on the NDRL over the next few days.